Whether or not the chosen products really do wonders for our skin’s sake. Previously, I did share a review of Juice Beauty Stem Cellular Exfoliating Peel Spray, how effectively it has improved my complexion for 2 months. Before switching to the current one, I had used another exfoliant of the brand. To make sure I won’t miss anything that I’m able to tell you all regarding the good and bad of skincare products. This time, I’m about to confess a review of Juice Beauty Green Apple Peel Sensitive. Similar to the Peel Spray, this product’s exfoliating property stems from two main fruit juices. Apple juice delivers malic alpha-hydroxy acid; moreover, grape juice gives tartaric alpha-hydroxy acid. Both are inclined to strip away the barrier of stubborn dead cells and enable effective nutrient absorption as well as stimulate the regeneration of collagen and elastin. Simultaneously, they provide multiple active compounds, including resveratrol, phytonutrients, flavonoids and phenols as potent antioxidants to combat aging signs aroused by external free-radicals. It promises to brighten your skin tone and neutralize the appearance of discoloration by over sun exposure with the growth of new cells uncovered upon the surface. Plus, enriched by nourishing lemon, also called citrus medica limonum, extract to provide incredible refining and tightening activities. It removes excessive oil and unwanted impurities coming along; additionally, shrinks the enlarged pores for a clear, velvety texture. I think we all know the amazing benefits of lemon abundant in vitamins and age-defying elements to fill in wrinkles and fine lines. So, the product is genuinely ideal for mature skin. It also contains aloe leaf juice, which powerhouses soothing and hydrating effects. This helps to alleviate irritation or pain because of environmental aggressors and retain natural emollient, whilst rejuvenating skin. Formulated with all-natural, organic ingredients that’re supposed to be safe, harmful chemical-free, toxin-free, synthetic dye-free and fragrance-free. However, what a pain! 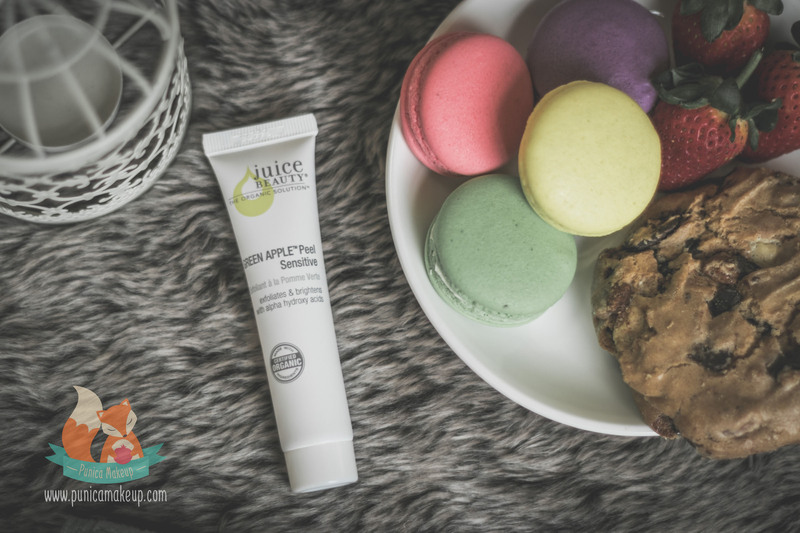 the Juice Beauty Green Apple Peel Sensitive is not recommended for sensitive skin type. The product is prone to be yellow, gel-like consistency. Compare to the Exfoliating Peel Spray, this one has higher viscosity, noticeably thick and sticky with glossy texture. I used it at the time when my skin was in the condition of Xerosis. It was freaking flaky and scaly earlier this year. I gotta struggle everyday with nasty redness, dry patches, skin peeling off and cracks all over my face. The “sensitive” in the product name is kinda tricky to me. The tube (15 ml) belongs to the Daily Hydrating Solutions Kit categorised for the Sensitive Skin/Redness on the Juice Beauty website. I bought the whole kit on February, 2017. The Nutrient Moisturizer, Cleansing Milk, Antioxidant Serum and Hydrating Mist are fantastic, except for the Green Apple Peel Sensitive. I thought it would work for my delicate skin. Once I took small dots onto the surface, my skin reacted badly with itchiness and rash, like burning. 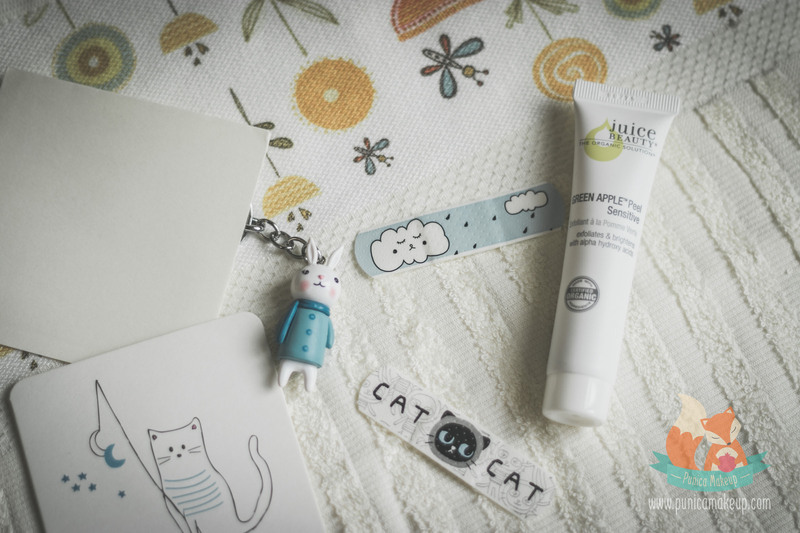 The gel aroused a bunch of irritation and redness around my cheeks, forehead and chin. After a few seconds, I had to wash off with lukewarm water. The redness and painful sensation seemed to be lingering. Furthermore, my skin felt even terribly tighter and drier. I tried to be patient and apply as little as possible once a week. Hoped the gel might be a bit uneasy at the first uses; then, the situation should have been better. Over 4 weeks, my skin didn’t improve and looked really horrendous, like going through a flare-up. Then, I quit utilizing it for a while and came back after two months; otherwise, it still caused the same problems. Honestly, I really wanted to like it; but, my skin and condition couldn’t get along with. To be fair, the product didn’t really cause severe allergic reactions to my skin, such as breakouts, blemishes or zits. 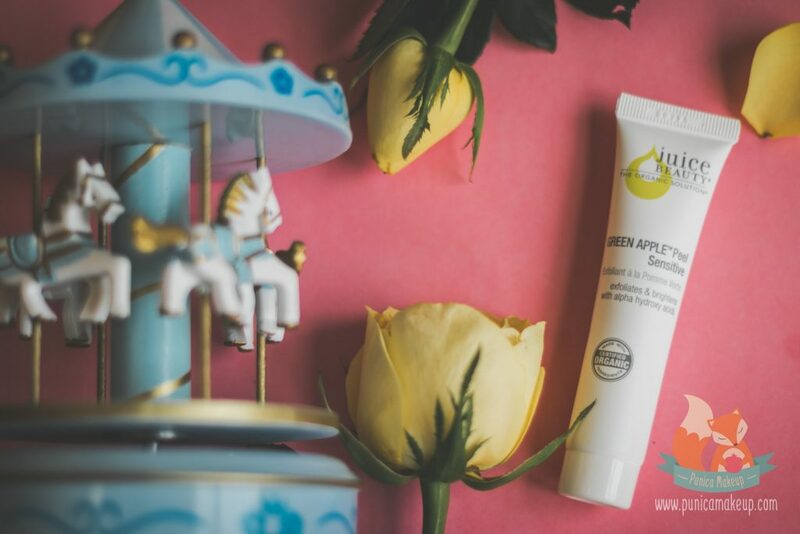 Lately, I figured out the Green Apple Peel Sensitive is notified to be not suitable for sensitive skins in product description of the full size (60 ml). Like I said before, you can confirm this on its’ website. I didn’t know whether to laugh or cry. My big question is why the brand suggests the exfoliant to those who have delicate skins. The kit is obviously designed for the sensitive, redness type. However, this is just my personal feelings. I think the company does it for some reasons. I’ve seen many positive opinions about the product that it does wonders for their skins. So, feel free to have some experience with it. Regarding to the smell, it does have unpleasant, sour smell, like fermented fruit. The packaging is really loveable. In terms of mini size, the product comes to a clean, matte white tube. This is handy and convenient for travelling; but also, resilient to withstand the physical damage. The bigger one will be taken into a glass, sanitary jar. I’ve always loved organic skincare products and most of them are really great. But, this time doesn’t seem to get a happy ending. I decide to give it 6 out of 10. You can check the price right below. I hope this review is informative and helpful enough to give a comprehensive understand about the Juice Beauty Green Peel Sensitive. If you have any ideas or requests, please let me know your thoughts. Thank you so much for joining us!